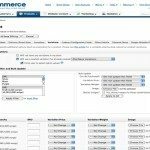 Bigcommerce offers a surprising feature, Domain registration, 100+ Themes to choose from, With a variety of customization tools, to edit the theme the way you want, change colors, upload logo, Also you will have access to your storefront’s HTML/CSS for advanced customization to unleash your creative and innovative HTML skills. 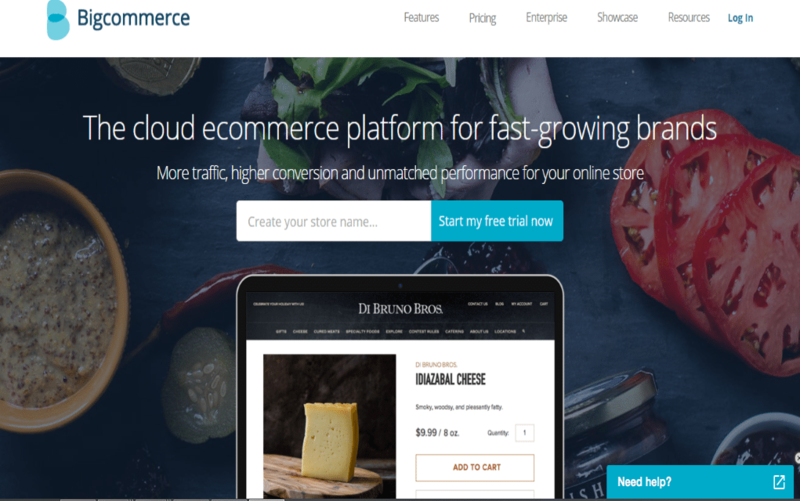 like other best E-commerce software Shopify (Stating Plan Cost $29) and Volusion( Sarting Plan Cost $35), Bigcommerce has an easy-to-use administration feature. It offers great navigation and styling. And adding content and products to your store is quick and simple, With a complete content management system to manage your entire store, you can easily create contact us forms, About Us pages, banners and all other pages you will need or think about. In-addition to powerful e-commerce functionality, Bigcommerce make adding products to your store easy and effective, you can add products with videos, high resolution images with zoom in for a closer look before buying, pricing, and with complete product options and rules. 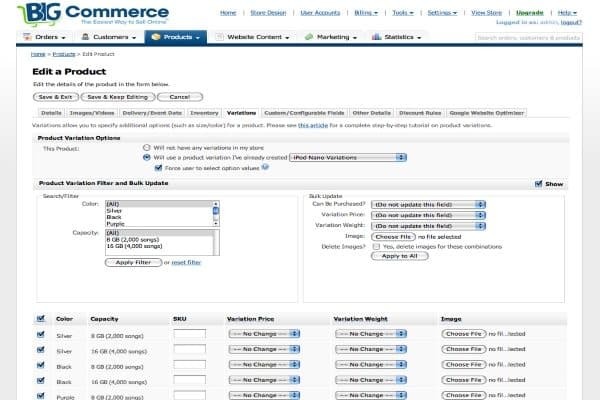 With Bigcommerce you can accept payments from more than 60 pre-integrated gateways such as PayPal, Google Checkout and Pay In Store and much more, To simple shipping rates or display real-time quotes from UPS, USPS, FedEx, Australia Post, Royal Mail, Intershipper, Canada Post and more, in-addition to full capabilities to automate order processing and fulfillment by integrating with third-party providers like Ordoro, Doba or Shipwire..
Also you can create product Catalog options include buy online, email inquiry or catalog-only mode, Even with Bigcommerce you will have a complete control over how taxes are applied so you will never be worry about Taxes anymore, While testing this product, I ran a few standard tests, to monitor the speed of response and the technical ability of the Bigcommerce support team – response time was fast, and all email correspondence was easy to follow and came with step by step guides to help me fix any problems that were encountered. 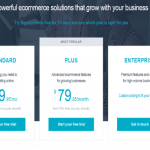 Get Bigcommerce 15 Days Trial, In addition Bigcommerce offers a comprehensive app store, With dozens of free and for-purchase apps that you can use to further customize your Store and enhance user experience. Bigcommerce makes your online store security a priority. They have PCI to protect credit card data, and they offer secure Socket Layer (SSL) bank-grade encryption enabled on all pages This means that your online store are protected from the prying eyes of hackers, and customers can purchase with confidence. 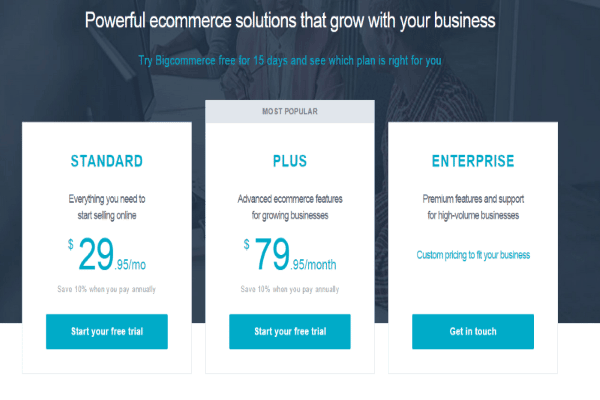 Bigcommerce offer 99.9% up-time, which means that your store is up and running almost all the time, highest score in the industry, Also you will not worry about your data, they offer automatic backups, custom servers and a 24-hour security staff to monitor the company’s servers..
Bigcommerce offers 24-hour support, and you can use self-serve technical support tools: video tutorials, a self-run troubleshooter, an active user community, and a full library of downloadable manuals. And it’s rounded out with online live chat, telephone, and email support ,ticket support. With their comprehensive Customer Support system, Bigcommerce makes sure that all your questions are answered and all your needs taken care of whatever the day or time of day. 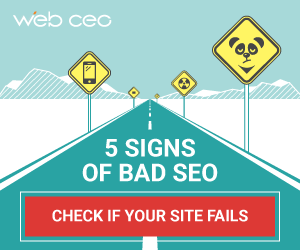 Business Owners Are Migrating From Magento – Top Reasons You Need To Know!